Tales of Thread was founded in 2016 by Rebecca Fordham. She wanted to provide an alternative to unfair wages, dangerous working conditions and the throwaway approach to fashion. So she decided to create a clothing line with a positive impact on the lives of all the people in the supply chain. Rebecca has carefully considered everything that goes into her range. From the soft organic cotton and silk fabric, to the meaning behind the print designs and beads that decorate the packaging. Most of all, Rebecca is making a difference to the working lives of women in Ghana. 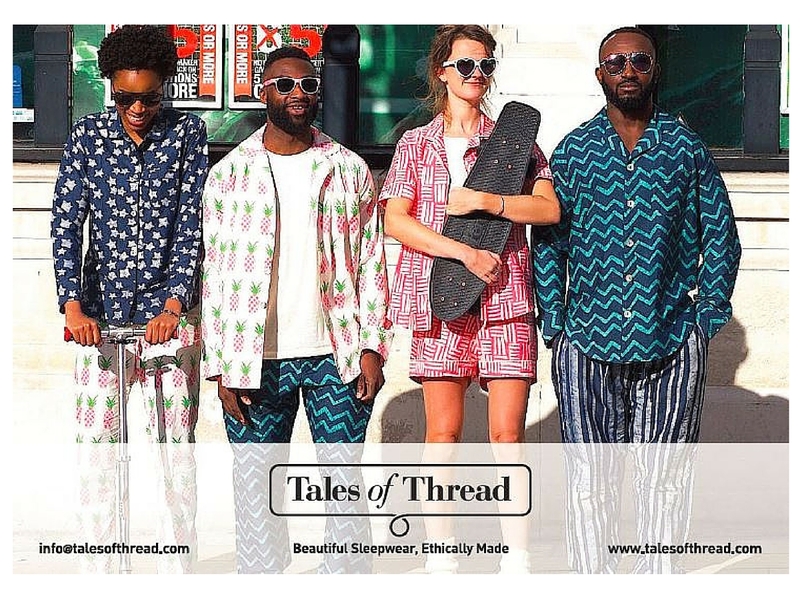 Tales of Thread partners with female-led factories that provide women with well-paid employment. 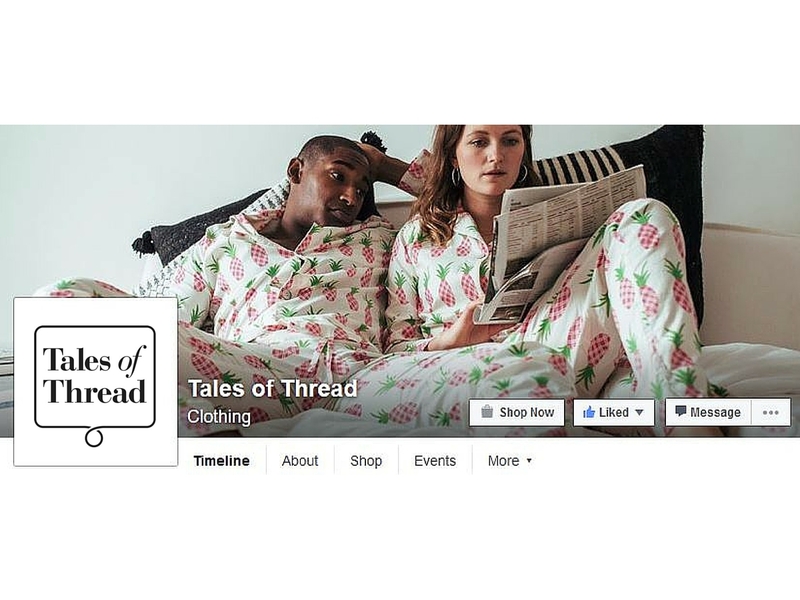 In return they make sleepwear that is high quality, beautiful and designed to last. Rebecca wanted to create a visual identity for her brand that is minimal, modern and timeless in appeal. The product range embraces both classic and bold colours, so it was important that Tales of Thread brand colours did not fight any of these. In addition, the sleepwear fabrics are luxurious. This took us to a neutral minimal palette based on the premium appeal of black and the purity of white. 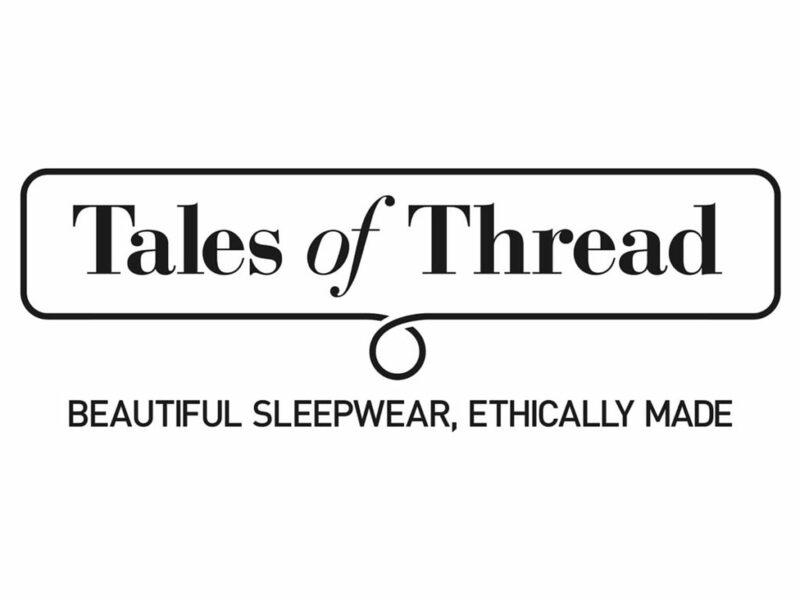 The Tales of Thread brand logo is inspired by sewing. It features a distinctive loop of thread to acknowledge the heritage we owe to handicrafts. The brand logo comes in two variants. The classic landscape logo is used on the website, packaging and labels. The square logo is designed specially to use on social media profiles.